Made from nickle with a gold gilt finish. 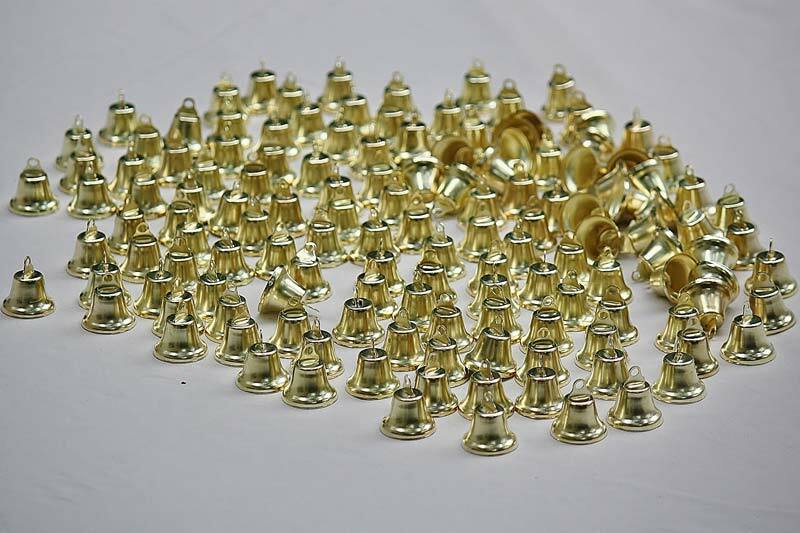 Height: 11/16" Height with loop: 1 1/16" Base diameter: 1"
These mini bells are a must have for your craft bell collection. 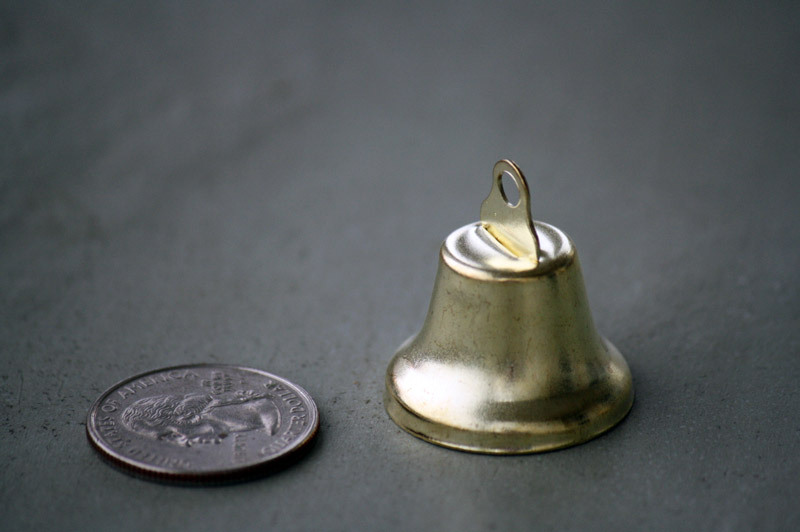 The liberty bell design is small, but will make a big noise. Sew them into clothing or make a pair of earrings. Bring them out for Christmas or the 4th of July. 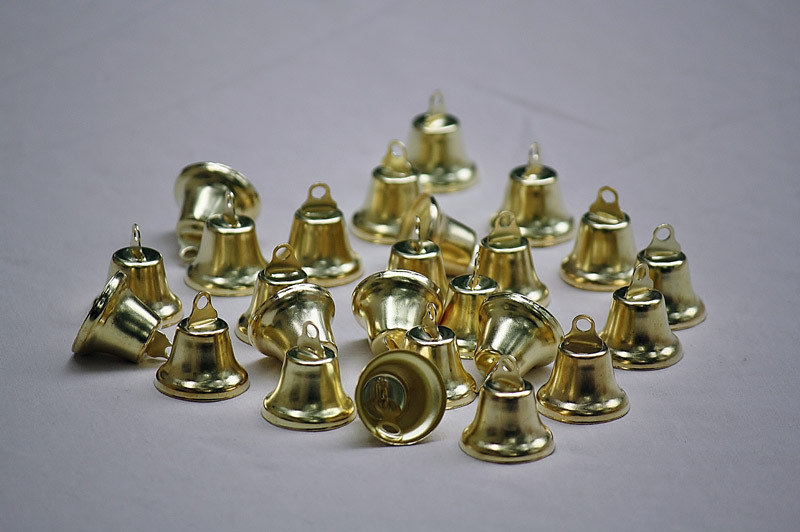 There is always a spontaneous craft with these small bells!